Everyone told me that Las Vegas was a crazy city and CES even more so but they did not do it justice. The scale of the city and the event beggars belief. There is a real buzz around the event with every major tech company represented (except Apple of course) and on a scale I have never seen before. 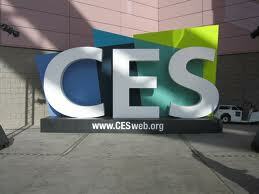 Executives from business, government, entertainment, automotive, consumer electronics and every major industry converged on the 2012 International CES to experience new ways of doing business at the world’s largest consumer technology tradeshow. 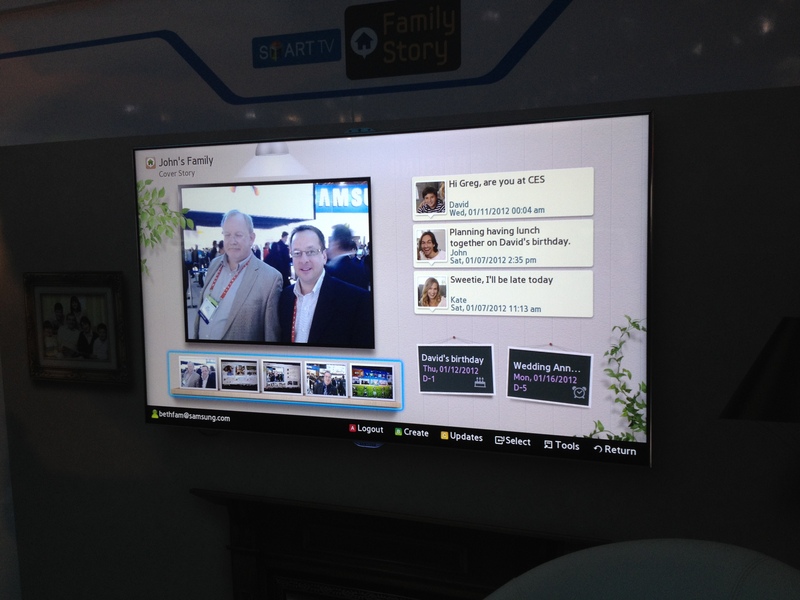 The 2012 International CES was the largest in the event’s 44 year history, with a record number of more than 3,100 exhibitors across the largest show floor in CES history – 1.861 million net square feet of exhibit space – and drawing a record of more than 153,000 attendees, including more than 34,000 international attendees. 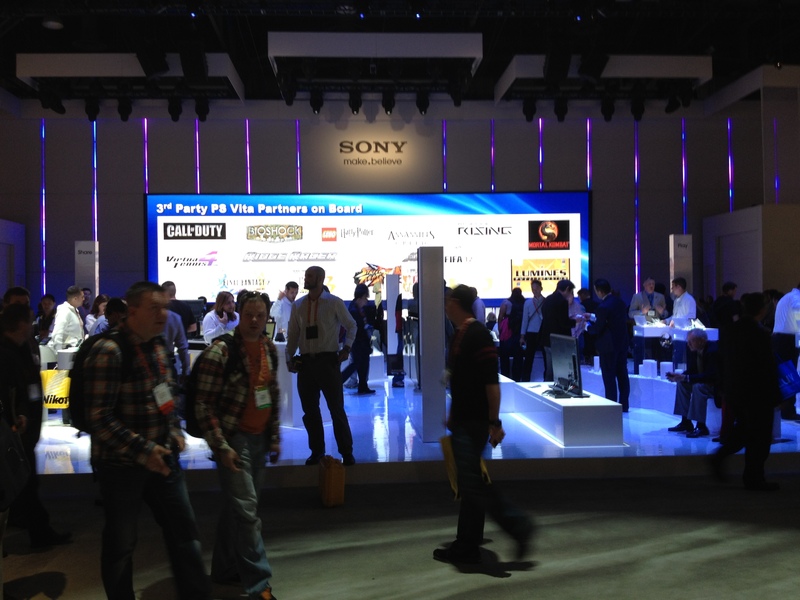 More than 20,000 new products were launched at the 2012 CES, and as we know it has become the second largest event for Agency Groups with Levy, Sorrell, OMG Board and 500+ people turn out from VivaKi amongst others. My boss Curt Hecht comments on this in an article in Adage – read it here. Although there was an enormous amount covered at the show I wanted today to focus on the converged TV topic and the challenges we all face in this space. Let me start by giving you some of the highlights of the TV space for me and then look at the implications. The TV is no longer lean back but lean in, it is being designed to draw you in and pull you from your stupor. The TV is being assaulted by set top boxes, App stores, satellite companies, it’s now no longer able to sit quietly in the corner of the room, it has to be your communicator through Skype, your music system, social media entry point, picture frame, cinema etc, it is also on a diet and becoming more colourful! (more on that later). Before looking at specifics, I have to say that above all the point I was left with was that the role of the main broadcasters and channels seems antiquated and slow at this stage and being left behind a very fast moving wave of tech. 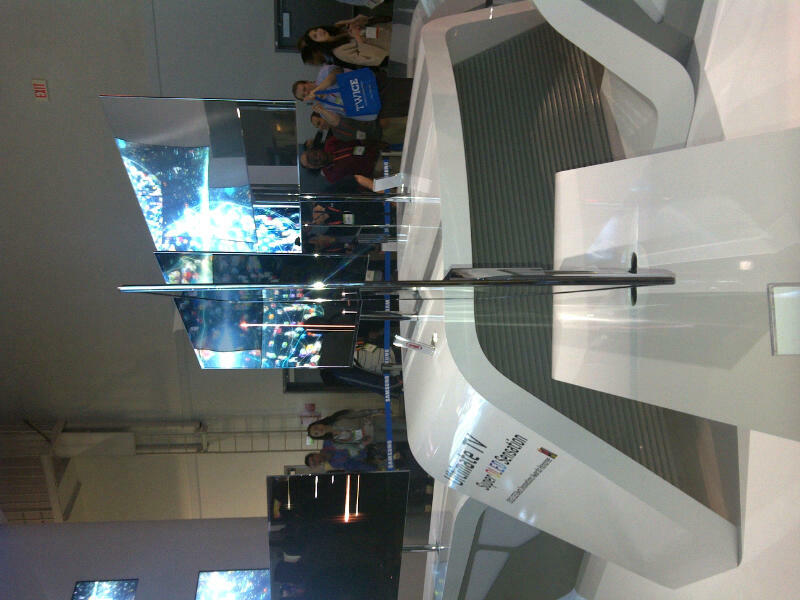 The TV manufacturers are all looking for an angle on how to interact with their devices. Microsoft want you to wave at their TVs via Kinect, LG want you to speak to their machines and have created a unique remote control that acts more like a cursor, this worked for me more than waving hands etc. The video below shows the users scrolling around the TV screen between all the apps using the very simple cursor method. The Rise of Apps: The first thing that strikes you about the LG is that this is now all about the Apps and not about the linear TV stream. These apps remember will hold TV catchup, movie download services, Facebook, Linkedin, games etc, it will be a while before you start turning to your fav TV show at the allotted time, it is this the vast array of other ways of interacting that leaves you with the feeling that the main broadcasters have a big job on their hand. 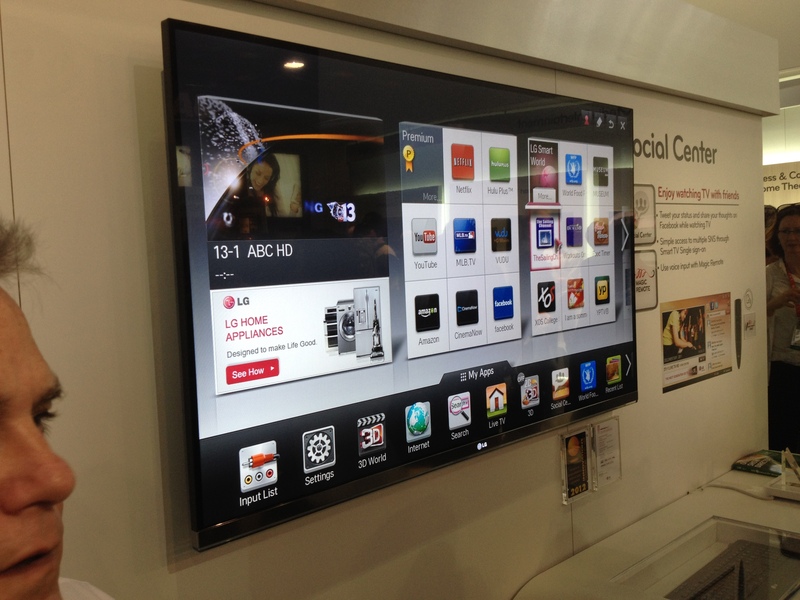 Check out this LG and it’s Apps. 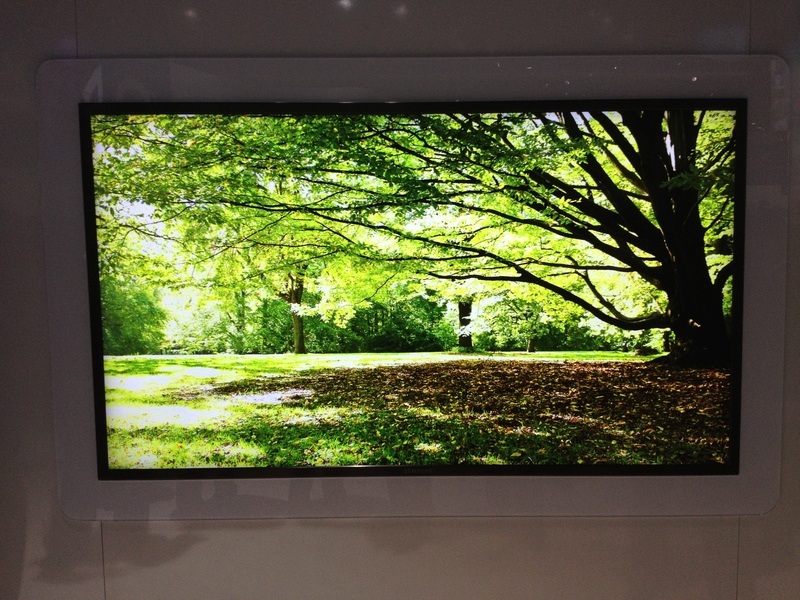 All the manufacturers have led with the App approach, take a look at the Samsung picture below, an awesome TV with incredible layout and design, again all driven by voice commands. 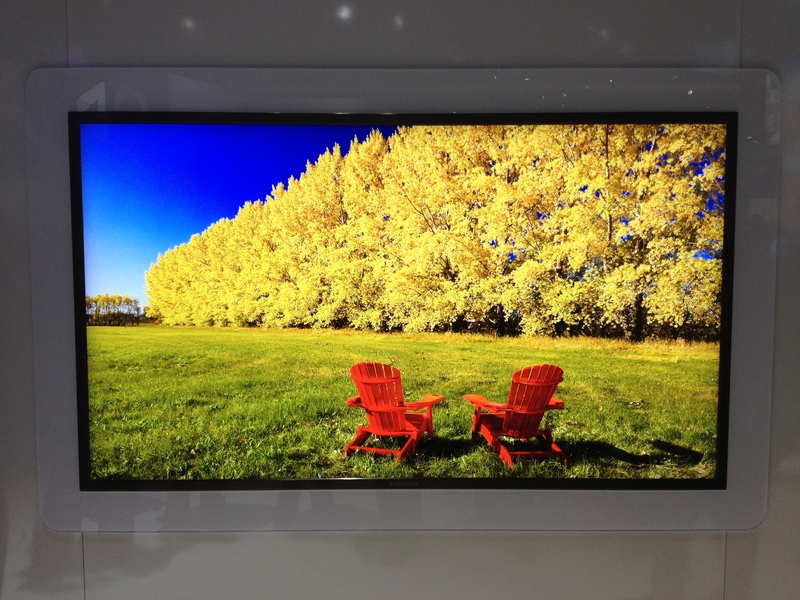 The Samsung TVs really stood out as being very impressive both in terms of design and functionality. You will notice the social apps in the TVs, previously they have been a little clunky but now they are seamlessly integrated so you can be talking with people, tweeting or on Facebook alongside the TV programming, the second picture below shows an example of that in action. Social TV is going to be huge and will again swing the stats away from dual behaviours / screens whilst watching TV. Right now if we want to personalise through TV it is down to the very early attempts and basic targeting alla Virgin or Sky, if we want to measure TV viewing in the family we have to press buttons or in some cases in the US people are still filling in diaries that a multi billion pound industry relies on. What about a future when the TV recognises you as you sit down, or whether you are with people, whether you are doing something else as well – are you distracted, advertiser pays less!? 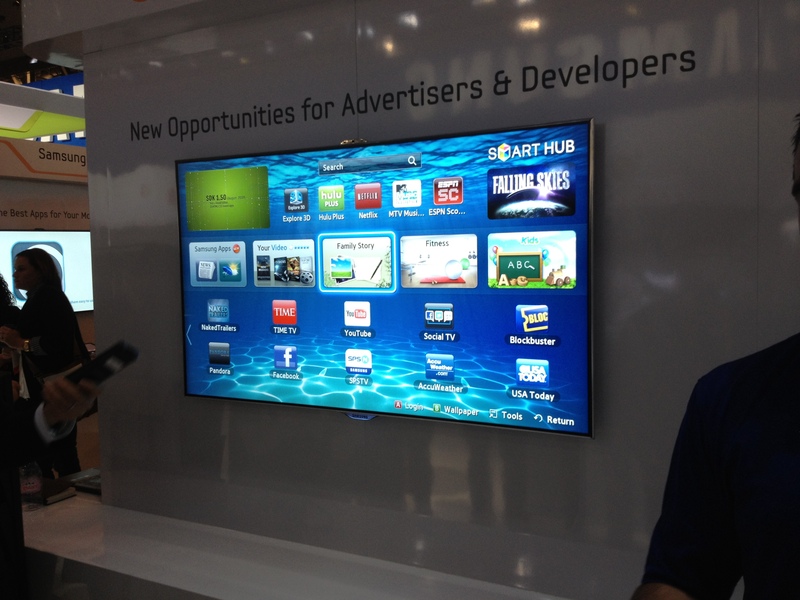 All this and more is coming in the new TVs. Facial recognition will be huge, imagine logging in and the TV suggesting the Sopranos episode you missed or show what your friends have been watching or even some Ads based on those you have previously watched all the way through? Facial recognition is going to transform your viewing experience and again will present you with a myriad of entertainment opps before you even get to the first channel you would normally watch! So LG and Samsung have built their own platforms for all of this to run on, so has Microsoft and Google of course, Sony was the more open minded of the manufacturers we looked at who were turning to Android to provide their operating system. Apple will have their infrastructure and others will too. So where does that leave us? Well it leaves us with the same argument we have always had – Open vs Closed. In the world of TV that debate favours closed with LG, Samsung, Microsoft, Google and Apple all running their own platforms, this is crazy in reality and a brain fade for advertisers and users. Interestingly this does not stop at the TV. Sony, Samsung and Apple in particular are all trying to wrap up your living room and online experience, trying to get you to link tablets with TV with mobile, thats the big win. What is open is the App and online companies, with all of them working to be available everywhere – email, movies, social etc are common to all, so those companies are having the time of their lives with all this innovation. Sony went a step further by connecting their PSP to their TVs, tablets and phones, meaning as a user you can get anything everywhere. A gamer who was on the PS at home and had to run could get to the bus and then turn on their PSP and it would remotely fire up their home system and stream all the gaming to their handheld meaning they carried on exactly where they were, its a cool piece of work from Sony and needed. I felt their TV and tablet experience was behind the competition. We have a problem. In one TV set or should we just say large screen we have social media, photography, communication with tools such as Skype and Facetime, we have movies through all the Apps, TV shows through the Apps, the weather, an ecommerce hub and so on and yet somewhere in there people are watching TV in a linear fashion..or are they? Then on top of that we have all this on top of different platforms and players and across thousands of TVs. How as an advertiser can you a) be expected to navigate this and b) measure it in current methods. Lets face it the panels as we know they are over, they are basic and cannot fully give the advertiser a faith that they are paying for the right information. There will be ways of consolidating advertising by companies such as YuMe but on top of that everyone will be selling advertising in their Apps or via video resellers and exchanges and we have to add all this up? We need ASAP a universal tracking initiative such as online adserving etc to at least pick up a big chunk of those metrics, but outside of that the role of the TV panel either needs to reinvent itself and fast or die. Oh my the TVs look amazing, they are getting slimmer and slimmer and brighter and brighter, see some of the images below, they dont do the reality justice but you get the idea. The colourful images are from the 4K. The 4K from Samsung basically means 4 x HD, the pictures were so real you could barely tell and check out the TV as slim as a card! The innovation is incredible and mind boggling, but I am so glad I got to see it first hand, the world of TV is an exciting one!